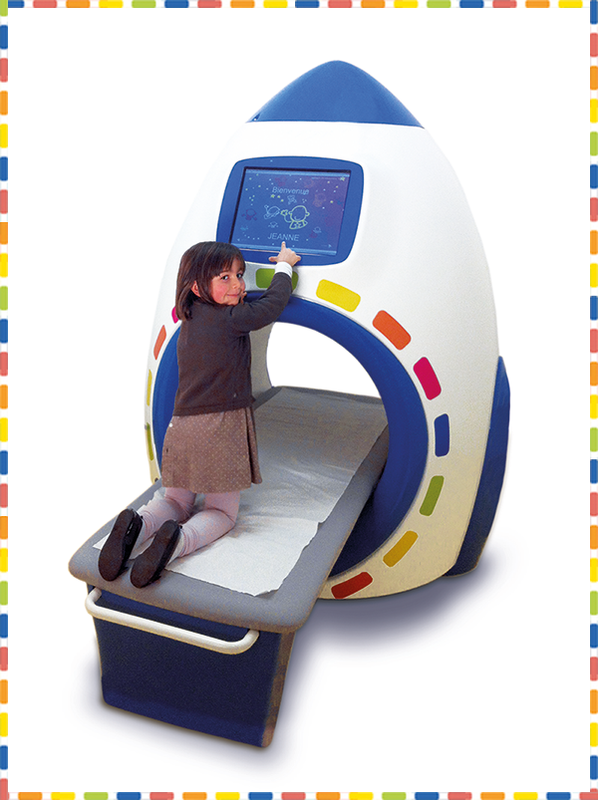 The MRI child simulator prepare children ages 2 to 6 years to avoid anesthesia and reduce anxiety before the examination. 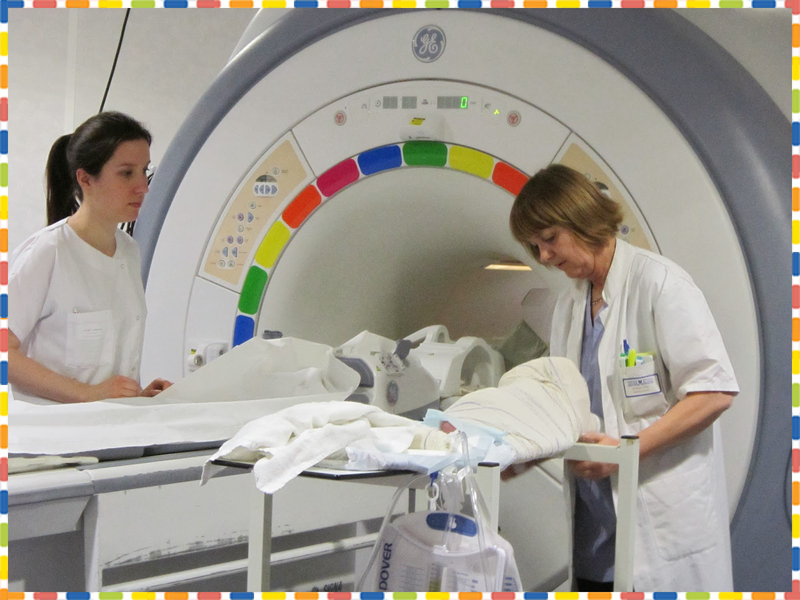 Children are welcome in the MRI simulator room and discovered the MRI tool and its playful environment. A qualified assistant adapts its explanations so that the child can become familiar with the preparation and become an actor of his examination.The hospital staff or trained volunteers are trained to use upstream MRI Game but also to accompany the child to reassure and explain how the examination will take place. 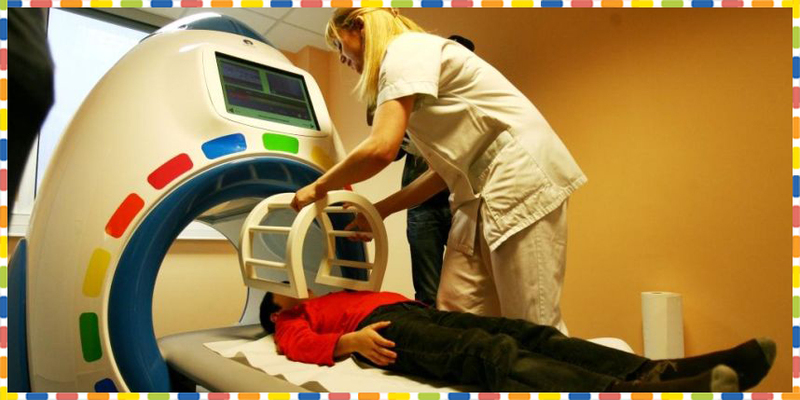 Once the child has understood the simulating MRI child exam and begins to immerse themselves in the world of the simulator, he can be installed.Lying on his back on the sliding table, in the MRI simulator, watching a cartoon. The bottom of the soundtrack reproduces the real sounds of the MRI child. This way the child is enthralled with designs that are familiar to him butis also preparing for MRI.Children are captivated for 10 minutes during which the exercise. During the MRI’s exercise, the child is filmed in conditions very close to those of the real medical imaging analysis.In this way, he can then, together with the wizard, review the video observing his own reactions to noise and the situation. This final step allows the child to eliminate any stressrelated to the review and better understand what is asked.